HP Avenue/Cummins Highway (NE corner) – Monday, 4 March 2019, 2:00 pm (Organizer: Nick Ward). Participation Guidelines – Bring your own equipment (shovels, spades) and materials (ice melt) if you feel healthy and up to it. Find the organizers at the above locations at the stipulated dates/times and make sure to give them your name and email address so we can log you in for RVMS Rozzie Bucks for taking part. Thanks!!! With 4″ (10cm) + of fluffy snow having fallen with this storm, we are hereby activating the Collaborative. Note the principal locations/organizers/dates/times below. Thanks! Stand by for the go/no go on the Roslindale Snow Collaborative – We will post tomorrow morning (28 Feb 2019) at 8 am. Most likely gathering times will be either tomorrow evening or Friday. Stay tuned. Thanks! This Wednesday, February 27, 2019, elected officials will hold a public meeting to discuss ways to improve road safety for pedestrians, cyclists and drivers in West Roxbury. Sponsors of the meeting include City Councilor Matt O’Malley, the Boston Police Department, Senator Mike Rush, Representative Ed Coppinger, Chief of Streets Chris Osgood, the Mayor’s Office, and the Boston Transportation Department. This snowfall was again under the 4″ (10 cm) mark, so we’re not going to activate the SCC. We still encourage everyone to pitch in and help where and how you can! WalkUP Roslindale Snow Clearance Collaborative – POSSIBLE ACTIVATION 12-13 Feb 2019 – STAY TUNED HERE. Depending on snowfall amounts and temperatures this afternoon/evening/overnight, we may be activating the Collaborative. Stay tuned here and note the principal locations/organizers below. We’ll also broadcast any details on our twitter feed and you can sign up to be contacted (including by text message) on our Snow Clearance page. Thanks! 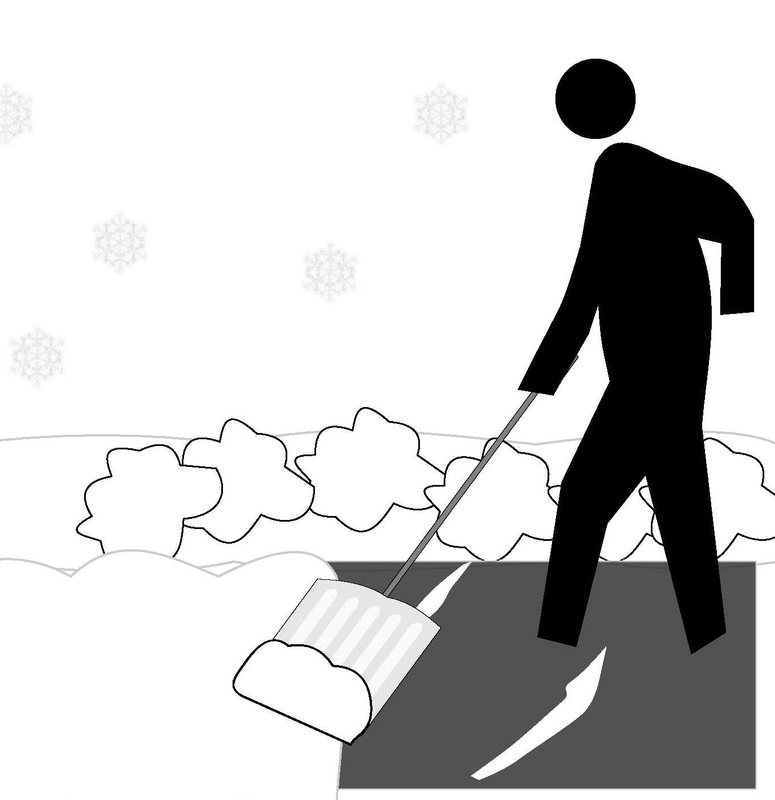 Participation Guidelines – Bring your own equipment (shovels, spades) and materials (ice melt) if you feel healthy and up to it. Find the organizers at the above locations at the stipulated time(s) and make sure to give them your name and email address so we can log you in for RVMS Rozzie Bucks for taking part. Thanks!!! Participation Guidelines – Bring your own equipment (shovels, spades) and materials (ice melt) if you feel healthy and up to it. Find the captains at the above locations at the above times and make sure to give them your name and email address so we can send you the Rozzie Bucks for taking part. The snow is heavy but there thankfully isn’t too much of it. An hour should do it. Thanks!!! Will this wintry mix produce enough snow for us to invoke the WalkUP Roslindale Snow Clearance Collaborative? Stay tuned! Predictions on snow totals for our part of the world have been a bit all over the map, but it seems at least more likely than not that, by tomorrow at some point, we will get the 4″ of snow needed to invoke the Collaborative. Stay tuned and if you’re interested in helping us dig out a couple of key areas in the neighborhood once the snow has stopped flying, go ahead and log in your information. We’d love to have you join us! January 6, 2019 update: please sign up on our snow clearance page at http://walkuproslindale.org/snow if you’re interested in helping, and spread the word! Anytime there’s a snow event greater than 4” (just over 10 cm), we will pick a suitable morning or evening time as soon as possible after the snow stops flying to meet up at the 2 locations (NW corner of Hyde Park/Cummins and in front of the Roslindale Community Center on Washington) and then descend on and shovel out the identified stops. With the help of our friends Councilor McCarthy and RVMS, the incentive we’re offering will be $10 Rozzie Bucks coupons for everyone who shows up and lends a hand. BTW, Rozzie Bucks are a great deal — good at many stores and restos in the square and the farmers market to boot!! Astute observers of the urban scene here in SW Boston will recognize that this is akin to the program District 6 City Councilor O’Malley has developed for shoveling out neighborhood fire hydrants where he drums up support by giving out JP Licks gift certificates. We hope to do the same with bus stops and Rozzie Bucks and with Councilor McCarthy contributing an initial investment of $300 and the Roslindale Business Group (yes, the second best RBG) underwriting a further $100, we are hopeful that we’ll see success this year. If it snows, we hope you’ll join us!! !